This hydrating 3-in-1 shower gel for Body, Face and Hair, enriched with natural Ocean minerals, leaves your skin and hair cleansed and refreshed. The caring formula with its pleasantly fresh scent provides your skin with long lasting freshness. 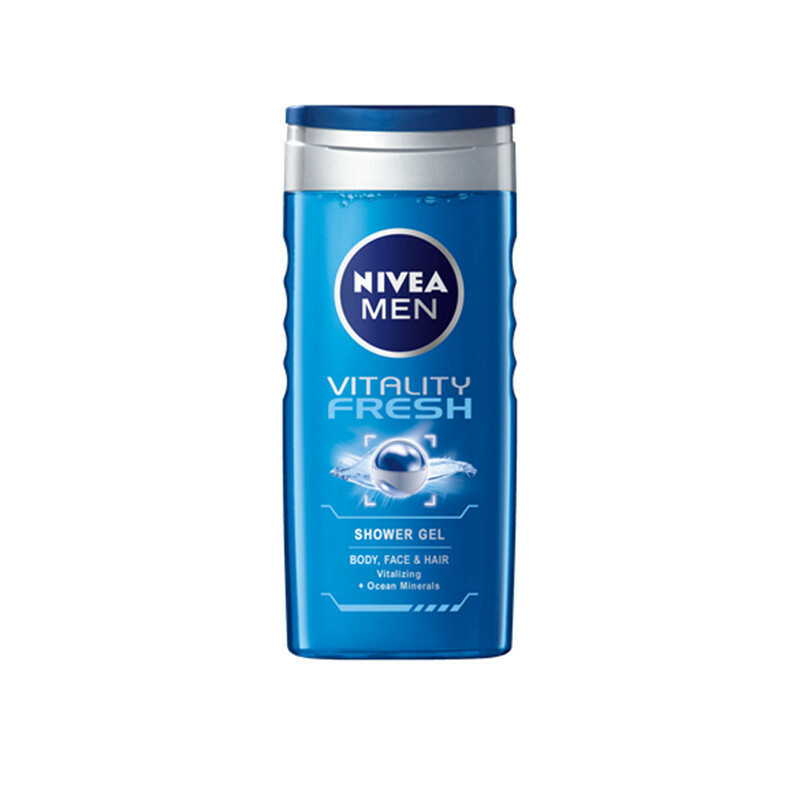 NIVEA MEN Vitality Fresh Shower Gel recharges your mind and body with its vitalizing ocean minerals and an uplifting scent and invigorate with every shower;pH Skin Balanced Skin Compatibility dermatologically approved and leaves your skin and hair feeling refreshed, revitalized and deeply cleansed.